"The Tempest of Old is an ebb and flow, showing Papillon's mastery of contrast between dark edges and soft dawns.” -- Sarah Towle, Exclaim! 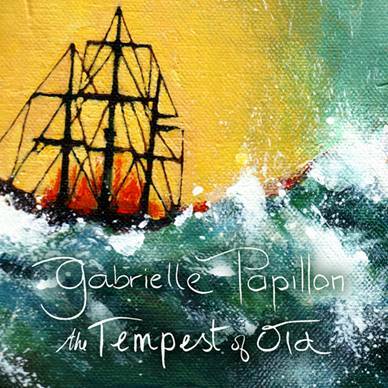 Gabrielle Papillon is one of those artists whose music is driven by her voice, lyrics and guitar. To call her simply a singer/songwriter would miss the point by leaving out a whole other dimension: the nostalgic distance and fragile aesthetics she brings vocally. Her upcoming new album The Tempest Of Old captures the pick-up-and-play honesty in Gabrielle’s song writing with each track being beautifully produced alongside a yielding sense of time and place. From the beginning to the very end Gabrielle’s voice runs through as vibrant and smooth as moonlight. The opening track Got You Well calls for attention from the word ‘go’. In the style of Alela Diane’s Pirates Gospel, Gabrielle’s strength lies in her poised vocal presence and preternatural ability to place the perfect melody in the perfect place. With Our Trouble begins with a steady beat and keeps the lyrical directness wrapped into the country/folky-like roots. Produced by Daniel Ledwell, the arrangements are expansive and illuminating to the point they generate an opulent tapestry of philosophies and phrases, allowing the listener’s imagination to fill in the blanks. Preach Love, just like the other songs, focuses on the message behind the words which are poetic, but never pretentious. 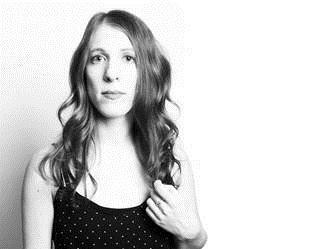 Similar to Regina Spektor, Gabrielle’s vocal performance is honest, free and unmistakably her own, delivered with shivery results. The Tempest Of Old is filled with thirteen lean, elemental songs, all echoing into cloaked gray distances, but the resonance of the production and the message behind the lyrics both remain deeply rooted in the listener’s ears for days on. The album, performed by Gabrielle with unchecked passion spilling into her words on the commanding choruses, will be available for sale and download Friday 25th September 2015. +++ More to be announced soon.